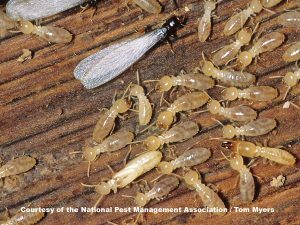 This termite species is extremely common in southern states and hotter climates. Subterranean termites live in underground colonies with as many as two million members and are also found in moist, secluded areas above ground. They build distinctive tunnels, often referred to as “mud tubes,” to reach food sources and protect themselves from open air. Subterranean termites are by far the most destructive termite species — their hard, saw-toothed jaws work like shears and are able to bite off extremely small fragments of wood, one piece at a time. Over time, they can collapse a building entirely, meaning possible financial ruin for a homeowner. Originally called “tree termites,” this species was renamed conehead termites to alleviate the misconception that this pest is only found in trees. These termites— most prevalent in the Broward County, Fla. region — build dark brown “mud” tubes and freestanding nests on the ground, in trees or in wooden structures. The nests can be up to 3 feet in diameter and have a hard surface of chewed wood. 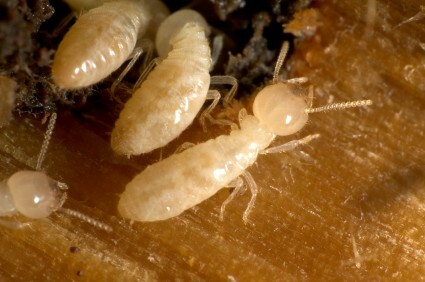 Unlike most termites, the conehead termite does not rely on underground tunneling to travel. Instead, they forage on the ground like ants, allowing them to spread quickly. Termites are not a pest that can be effectively controlled with do it yourself measures. If you live in an area prone to termites, it’s important to have regular, annual termite inspections.